Co-founder April Owens will be speaking at the DIY tent on Saturday August 12th at 1 pm about using California native plants to encourage pollinators and habitat. Biodiversity! See attached for plant list and rough notes for talk. We are so excited to launch our new logo designed by the wonderful Jean Obek of Obek Design. Please buy a shirt to support us! Each shirt = 1 California native plant installed in one of our projects throughout California. Good right? 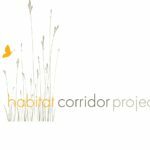 Go to Bonfire.com and search for The Habitat Corridor Project. We will have multiple campaigns so if you miss the first please check back for more! For so many of us, wildlife habitat gardening is not so much a gardening style as a reverence for Mother Nature—her creatures, her beauty, wisdom and design. I love to hike in our local wild places as often and wherever I can, to be in nature, to soak up the beauty and silence as well as to see our native plants through the seasons. Spring is especially wonderful for that lush window of wildflower bloom. In mid-May I was hiking Pomo Canyon on the Sonoma coast, enjoying the tail end of the spring bloom. Large drifts of cream cups, checkerbloom and the deep purple brodiaeas spread out along the trail and into the meadows. 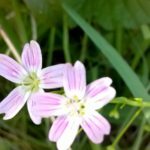 In one wet area I always look for the pink-striped Siberian candyflower and, with so much rain last winter, I found it in abundance! One of my favorite native shrubs, creambush (Holodiscus) was just beginning to bloom along the trail and in my own garden the long creamy flower clusters now cover the bushes. Many of the plants I love to see in my favorite wild places are ones I grow in my garden. This spring I watched male and female pipevine swallowtails search for each other, periodically returning to the thick layers of pipevine where the female lays her eggs on the heart-shaped leaves. Our California pipevine is the only caterpillar food plant for this beautiful butterfly species. I am watching now for quail babies: the covey of quail that live among the hedgerows —coffeeberry, elderberry, spice bush, salt bush, sages— have gone quiet in the past week or so. So I wait with great anticipation. I often check the birdbaths to see who has shown up— the bushtits gathering in groups to quickly bathe or the California towhees, taking turns for long, leisurely sessions in the water. Depending on the season, there will be western bluebirds, hermit thrush, song sparrows, and many others. What brings them here—the butterflies, moths, bees and other beneficial insects, the songbirds and lizards and other creatures— are the plants that offer nectar, seeds, cover, and the insects that almost all of the bird species depend on to feed their young. Our native plants are the ones that are the most dependable sources of all of these many nutrients and, for some insects, the only source. 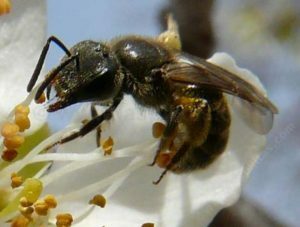 Who will come to the habitat garden, what will happen, which plants will be favorite sources of nectar —or seeds or insects—is the mystery. But spending time watching, walking the garden, touching my plants: this is how I bring the wild home. Biodiversity – this is my mission and yours if you chose to accept it. Walk into any “Garden Center” from your local one to the big box stores and what do you see? The same old thing- do I dare list them? No. We have sucked our landscapes dry of the beautiful biodiverse forms of plants we have in this BEAUTIFUL state and chosen Lavender….and lots of Agapanthus. Developments have covered our wildlands with houses. I believe (and we at The Habitat Corridor Project too) that restoration gardens in the urban environment are a BIG step to healing California. I have spent my career with a focus (perhaps some would say obsession) on California native plants. I just think they are the most wonderful plants to hike with, to draw, to use in the garden and to study. I remember the first time I really noticed them. I was traveling in the Trinity area of California – near Redding heading from Mt. Lassen to the coast on this dusty “road” that I saw on the map and thought it looked better than being on another Freeway in 100 degree weather. We are driving along slowly and I tell my husband to STOP! We backed up a few hundred feet and got out to see the most fabulous thing I’d seen in nature so far – a seep with an amazing outcropping of Darlingtonia californica – Cobra Lilly. They are California native carnivorous plants with the most amazing flower. I was hooked! 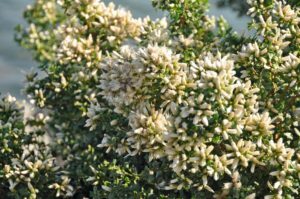 I was in my last semester of my landscape architecture program at the time and have used California native plants primarily ever since. Not so much Darlintonia in the designed landscape but many many more! The sense of place these plants create in a garden is what I still get excited about every time a design a garden. I grew up in California and this is what California looks like, smells like etc…. I spent hours studying these plants following my favorite botanists, going to California Native Plant Society Lectures, walking in nurseries, working with the few Landscape Architects and Designers that used the plants, everything I could to learn about these fascinating subjects. Now I am an expert and feel comfortable with each and every plant I use in the gardens….no that is a lie- I actually am still learning every day and enjoy using about 10% plants in every garden I design that might be a risk. How will you learn without trying them out? and there are over 5,000 species to try! And back to obsession… yes, my heart and soul is in the plants but it’s so fun to see the humming birds feeding on the plants in our nursery waiting for installation. Watching fluttering butterflies of an amazing range passing my desk window as I write and the bees and birds are pretty marvelous too! California is a beautiful place to call home. One of the best ways to add biodiversity and habitat value to your landscape is to plant a hedgerow. Hedgerows can be any size and combination of trees and shrubs that provide cover, foraging and nesting sites for our local wildlife. Native plants and wildlife have evolved together; native plants offer food—berries, seeds and nectar— for birds, pollinators and other beneficial insects. 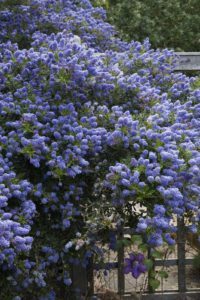 Plant your hedgerow on a berm, if possible, to provide good drainage, and space plants 7’ to 8’ apart or as close as 4’ for a dense thicket. 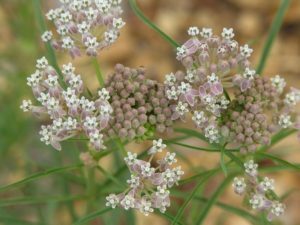 Add native grasses, perennials and annuals to the understory, such as deergrass, yarrow, wildflowers, aster, buckwheat and milkweed. Don’t “hedge” your hedgerow. Allow it to grow to full size, flower and set seed to offer maximum benefit to birds and pollinators.